Waiting. Someone shuffles to the front. 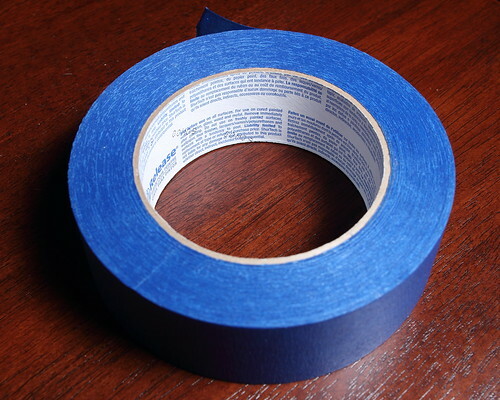 She goes in the back, rummages around and triumphantly raises a roll of tape which is… unfortunately grey. And duct tape. “Yes, ok, thicker.” No, I don’t want thick tape, I want wider tape, but this has gotten way too complicated. She smiles, tells me it’s only $15 instead of $25, not knowing that I probably would have paid $25 just to get the tape without all the drama and been happy. And I show her the label says… wait for it… “Painter’s Tape”. New Rule: If I can’t browse the wares, I won’t peruse your lairs. Observation: This is why the government of Trinidad and Tobago charges an online purchase tax of 7%. Because of these valuable interactions. Next > Product Placement In a Trinidad Pharmacy. [ Laughs ] Now, that was most interesting. Apparently, she needed to have a basic knowledge of hardware supplies.